Beat the banks & dealers with Best Loans. With rates starting from 5.99% (6.85% comparison rate)*, we are your one-stop shop for the best car loans. Our loan analysts can simplify the process for you. There’s no better time to explore the open road so for fast pre-approval, choose a car loan type below to get a free loan quote. No matter what kind of secured car finance you need, Best Loans has a lender and a loan product that can meet your needs. It only takes 5 mins on the phone with one of our loan specialists for them to collect the information they need to find the best loan for YOUR circumstances. Approximately 50% of our clients are looking to purchase a vehicle privately, whether from Gumtree, Ebay Motors, Carsales and so forth. Banks tend to be less enthusiastic about lending for private purchases, so at Best Loans, we have a range of lenders on our panel who are happy to consider private purchase car loans. Contact us for a quote today. Whether you're looking for a tradie's ute, a delivery van, a company car or even a 4WD, we can help with a range of vehicle loan options suited to the business buyer. Get a quote today. If you are living and working in Australia long-term on a Temporary Business (Long Stay) 457 Visa, you can apply for finance for a new vehicle. Please note that the term of your loan does need to end before the expiry of your visa. If your car loan is at least 12 months into its contract, and you’d like to look at lowering your repayments by refinancing, you can get a FREE car loan health check today. We’ll compare your current car loan to all the loans available from our large panel of lenders and see if we can find you a replacement loan that lowers your repayments. Buying a car is difficult enough at the best of times, without having to face rejection after rejection from lenders due to your bad credit rating. And it's usually made worse by the fact that you NEED a car to get to work or run the kids around or look after sick family members, etc. 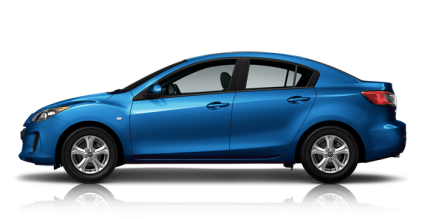 If you've found yourself in the situation of being rejected for a car loan due to bad credit, why not let Best Loans help. * Finance subject to approval, including the application of applicable lending criteria. Terms and Conditions apply. Fees and Charges are payable. Rates subject to change without notice. Credit provider is ANZ Australian credit licence 234527. Comparison rate calculated on a loan amount of $30,000 secured over a term of 5 years based on monthly repayments. WARNING: This comparison rate applies only to the example or examples given. Different amounts and terms will result in different comparison rates. Costs such as redraw or early repayment fees and cost savings such as fee waivers are not included in the comparison rate but may influence the cost of the loan. Australian credit licence 391454.